In Scandinavia, most of the fruit retailers sell fruit such as melon and watermelons in halves, quarters or even smaller slices. However, for the fresh produce employees in charge of cutting and preparing the fruit for sale and display in the shop, the fruit cutting process was always a time-consuming, tedious and even sometimes dangerous activity. In 2017 the Norwegian company Smart Supply launched an innovative product aimed at providing a solution to these challenges. The concept was tested in the Norwegian retail, and today is used in over 500 retail locations all over Scandinavia. 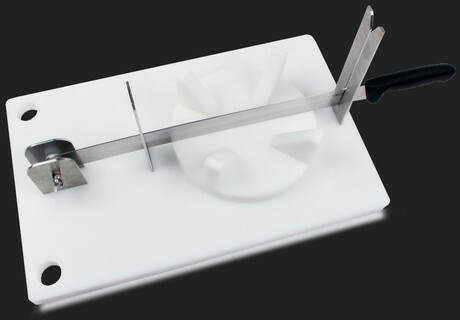 In 2018 the Smart Supply fruit cutter was launched all over the world, including North American and South African regions. Feedback has been great, and now Smart Supply is focusing its efforts on the EU markets. A fruit is placed on top of the round platform. Special supports keep it in place. A fixed blade is then brought down to split the fruit in half. If needed the round platform can then be rotated 90° in order to cut the fruit in half again. The stainless steel guide rails ensure that the cutting process is absolutely precise, ensuring that all the segments are all the same size. 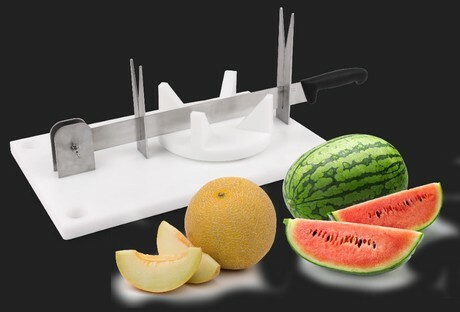 The fruit cutter is extremely sturdy and weighs a mere 5,5 kg.